Happy October! It’s officially holiday season. Over the next few months thousands of holiday songs will be streamed and downloaded by millions of consumers around the world; especially in Washington D.C., but not so much in Idaho. The holiday season is pretty much the only time of year when arrangements of public domain works are highly rotated in commercial music. Cover songs are also very popular as music consumers enjoy classic and updated renditions of their favorite holiday tunes from their childhood. And for the most creative among us, original new holiday songs can also have a huge impact this season. 1. Song Selection – From a legal standpoint, there are three options when it comes to song selection: original song, public domain song, or cover song. 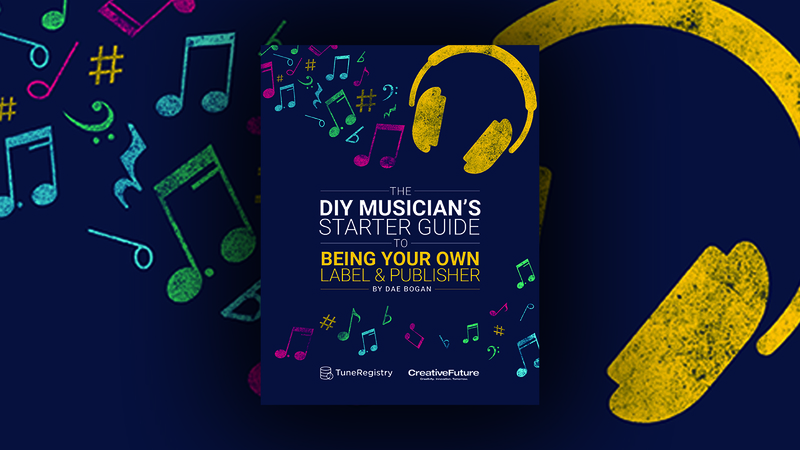 If you plan to write and record a completely original song — original music, melody, and lyrics — then you will own the copyright in all of its components and can release it just like any of your other original song. If you want to create your own arrangement of a public domain song (e.g. Jingle Bells), you will own the copyright in your sound recording, but not in the underlying composition (unless you create a completely original arrangement; in which case you could own the copyright in the arrangement). However, you do not need to secure a mechanical license to record and distribute the public domain song, nor do you need to secure a synchronization license to use the song in a video that you would upload on YouTube. Public domain songs have fallen out of copyright protection and are freely available to perform and monetize by anyone without seeking permission and paying royalties to the original author(s) of the public domain song. Cover songs (e.g. Feliz Navidad) are new versions of songs that are still under copyright protection. Therefore, you must obtain a mechanical license in order to record and distribute the song and you are limited in how much you can alter the song lyrically and stylistically. If your performance of the song you’re covering is drastically dissimilar from the original, you begin to navigate into the realm of derivative works and your mechanical license would be in jeopardy. You’d have to get permission from the copyright owner instead of being able to utilize the compulsory mechanical licensing process, which does not require permission per se, but rather a notice and payment of royalties. You would also need to get a synchronization license directly from the copyright owner (e.g. publisher) to use the song in a video to upload to YouTube, or risk having your cover version taken down. Whichever you choose, make sure to know what obligations you have for your song. CD Baby put together this awesome quick-read on public domain vs. cover songs. 2. Release – Depending on your song selection, you will be required to complete several or few steps before you’re able to release, as far as securing proper licenses. Once you’re cleared to release, create a single release campaign. In addition to the release, consider giving the song away to friends and family as a holiday gift. I like that CD Baby now offers physical on-demand. This may be a good way to get physical CDs with nice artwork available without the upfront cost of having to get them pressed up on your own dime. 3. Marketing & Promotion – If your holiday song is great, it could land on a holiday playlist on Spotify or Apple Music or, if submitted in a timely manner, it could end up on a Pandora channel or Music Choice holiday channel. I personally like to listen to a holiday channels on Pandora from November 1st through December 31st. There’s also placement on retail radio. Hundreds of millions of shoppers will hit their local shopping center and mall this season; especially during the weeks leading up to and immediately following Black Friday (Black Friday is a shopping day for a combination of reasons. As the first day after the last major holiday before Christmas, it marks the unofficial beginning of the Christmas shopping season. Additionally, many employers give their employees the day off as part of the Thanksgiving holiday weekend. Wikipedia). Background music and in-store music video networks are good opportunities for exposure; especially if you’ve delivered your song to Shazaam and SoundHound. When I owned my in-store music video network, I programmed holiday music for 150 youth-targeted retail stores. Every major retail chain plays holiday music, so submit as soon as possible to services such as PlayNetwork and Mood Media. 4. Performing – Performing small live shows can be an income-generator during the holiday season. Coffee shops, shopping centers and malls, hotel lobbies, retail stores, restaurants, and other non-traditional venues could be great to perform for a small talent fee plus tips. Many communities organize community events during the holiday season. Reach out now to your local city council’s office regarding performance opportunities. The exposure on their event posters, newsletters, website, and social media could be good for you locally and add to your electronic press kit going into 2018. (Tip: If you are performing original songs, make sure to submit your set list to your PRO — ASCAP, BMI, SESAC — to potentially earn performance royalties in addition to your talent fee and tips). You may also wish to host online concerts via YouTube or Facebook Live; or a platform that enables tipping, like YouNow. In conclusion, the holiday season is a great time to create and release music that makes people feel good. Whether you select a recognizable favorite or choose to explore your hand at writing holiday music, if done well, you just might make the Billboard Holiday 100 charts while making some money along the way. Really great tips on Holiday Songs. Thanks a ton!